All GOVERNMENT TRACTS 7-5-77 homes currently listed for sale in Silverthorne as of 04/22/2019 are shown below. You can change the search criteria at any time by pressing the 'Change Search' button below. If you have any questions or you would like more information about any Silverthorne homes for sale or other Silverthorne real estate, please contact us and one of our knowledgeable Silverthorne REALTORS® would be pleased to assist you. 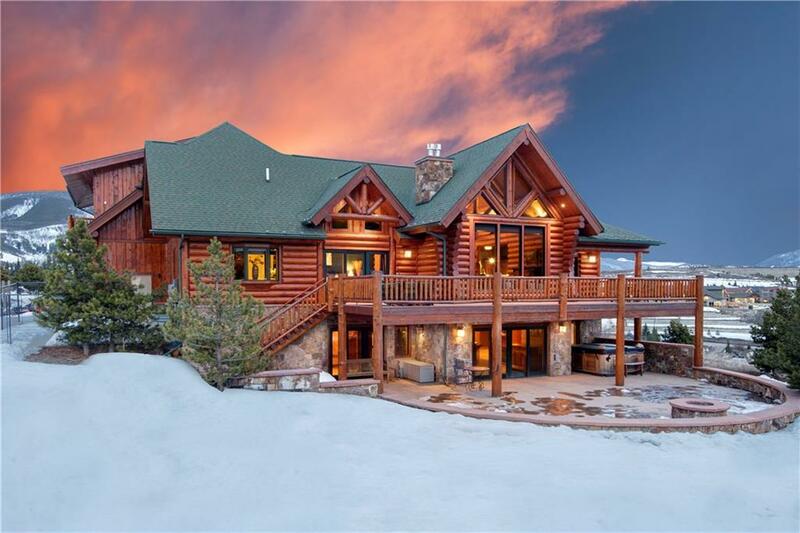 "Nestled like a bird's nest on Ptarmigan Mountain, this beautiful full-round log home is surrounded by stunning views of Buffalo, Red and the Ten Mile Range Mountains. With over 1.6 acres you will have plenty of privacy and space. The home features a main floor master, bonus entertaining kitchen in the rec room, 3-car garage, wine cellar, two stone fireplaces, and a large lock-off apartment."